Autumn, the best season of all, is upon us! Some people look forward to finally busting out their sweaters and others are waiting for that first sip of pumpkin spiced latte. For me though, fall has come to mean one thing: Math Fair. I look forward to it all year, but the excitement really ramps up around this time. Exhibits are being finalized, registration has opened and there’s a certain electricity around the MIND offices as November 5th draws near. Math Fair is a massive event, to be sure. Just take a look at this video and you can see all of the time and talent that goes into changing kids’ perceptions of mathematics through this single event. It cannot be done alone. No one knows that better than our colleagues who have relied upon hundreds of volunteers to bring Math Fair to life over the past two years. We need creative, passionate, hard-working people to make Math Fair 2016 a success, and that’s why we need YOU! 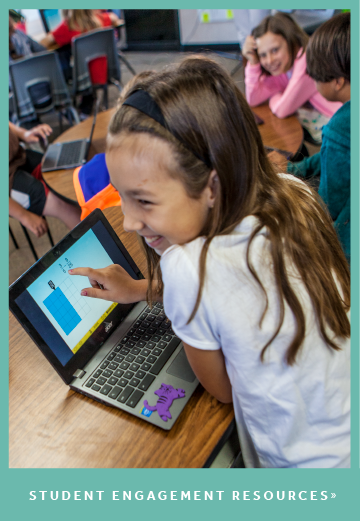 You can be part of it too, and help students see math in a whole new way. I think the majority of us all have a desire to make this world a better place. Why not start in the place where you live? 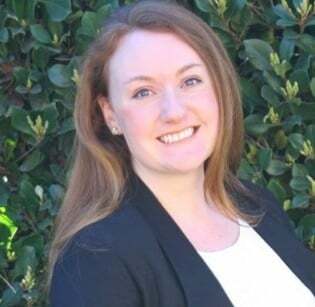 When you volunteer at a local event, you’re improving the community for your neighbors and for yourself. You’ll also have the chance to bond with people you might never have met otherwise. Strangers become teammates and teammates become new friends. You never know what kind of connections you’ll make. If you’re nervous to volunteer alone, bring a friend, roommate or family member. The more the merrier! 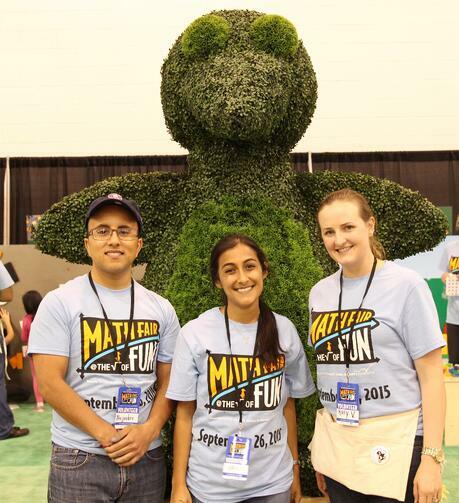 Volunteers from Teach for America pose with topiary JiJi at the 2015 Chicago Math Fair. 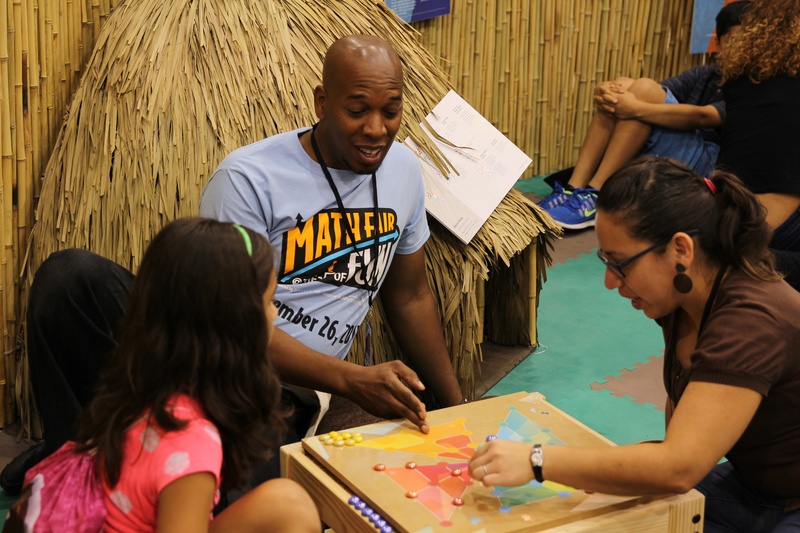 Families that attend the Math Fair are encouraged to build, create, move, think and play. As a volunteer, you’re encouraged to do all of these things too! Not a bad way to spend a Saturday, right? Most people don’t volunteer just to get a t-shirt, but the tangible perks of volunteering are nothing to sneeze at! We do our best to take care of our volunteers and make Math Fair a fulfilling experience for everyone involved. Volunteer and you’ll receive a shirt, goody bag, lunch and parking – all for free! That free parking is especially handy if you want to volunteer for either the morning or afternoon shift. Come early and stay to play for the rest of the day when you’re not volunteering. When I finish a successful shift as a volunteer, I always leave as a sweatier, sleepier, much happier version of myself. I often catch our own volunteers smiling and laughing with other volunteers or attendees as they exit the Math Fair. That’s because when you volunteer with MIND, you’re part of something much bigger. You’re part of a learning revolution and kids are becoming better thinkers and doers because of it and because of you. It’s hard not to feel like a rock star when you’ve helped to inspire a child. Volunteer facilitates game of Gulugufe at the 2015 Chicago Math Fair's South of the Sahara exhibit. 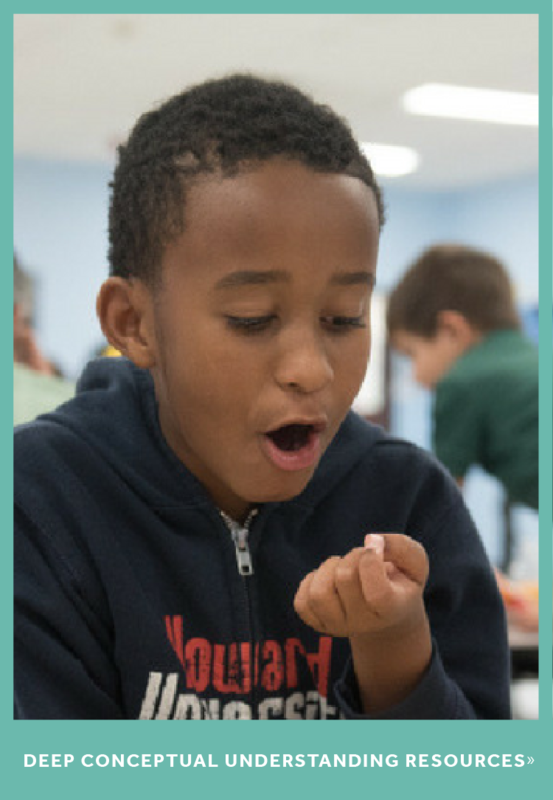 Come volunteer at Math Fair and together we can work to ensure that all students are mathematically equipped to solve the world's most challenging problems. I’ll see you there! To learn more about volunteering at Math Fair 2016 on November 5, 2016, visit mindresearch.org/mathfair/volunteer.